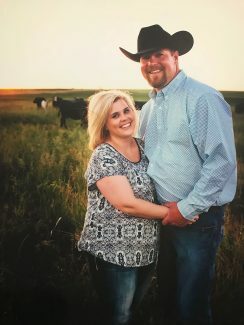 Dustin and Danielle Foster make their home on the family farming and ranching operation in Estelline, S.D. 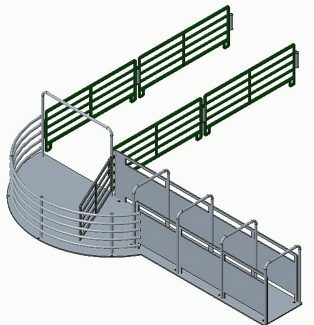 Steel panels can be connected together to form a corral for rounding up livestock, or even a round pen for a horse. Keegan, Lane and Sutton Foster, who are 10, 5, and 2, reap the benefits of what their dad creates in his workshop. Dustin Foster has designed a 3D model of the tub and alley he is currently designing and will have fabricated in the next couple of weeks. Dustin Foster is living his ranching dream. The fourth-generation rancher of Estelline, S.D., spends his spare time building toys for his three sons. They aren't just any toys, Foster puts a lot of time and thought into designing and creating toy livestock systems that are functional, durable and safe. "I started about two and a half years ago because I got tired of the plastic and wooden farm sets that are available and always breaking," he said. "One day, I just picked up a welder and started creating a toy they couldn't break." 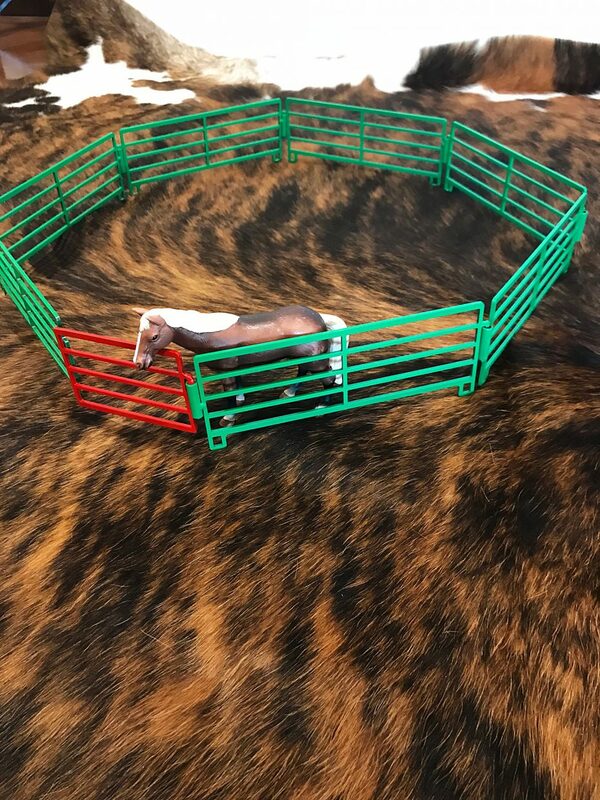 The first ranch toy that came out of Foster's shop was a set of four bucking chutes in a row. Two with right-hand delivery, and two with left-hand delivery and a center out gate. 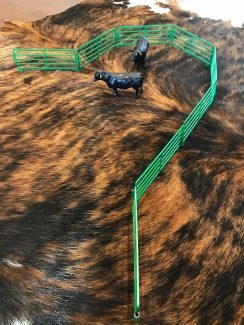 "We are big rodeo fans and my kids were really excited about the chutes," he said. "It's not an item I offer for sale at the moment, but it's coming soon." Keegan, Lane and Sutton, who are 10, 5, and 2, reap the benefits of what their dad creates in his workshop. "Without a doubt, the glow on my children's faces when they see what I have made is the most enjoyable part of building toys," Foster said. "They are excited to get down on the floor and start playing. I want to create that same glow on the faces of other children." Foster is self-taught and has had to figure out his final designs through trial and error. "I started out hand cutting and welding them, but I found it to be very time-consuming and tedious," he said. "I decided if I was going to do it, I needed a simpler way. Now I use a CNC laser cutting machine to make my parts, which I then weld together. Everything I make is made from steel. My toys are robust and made to last. They are made so generations to come can enjoy them." Currently, Foster makes a corral panel that hooks together with the next one. It can be used as a livestock corral, a corral to roundup livestock, or a round pen for horses. "I also have free-standing panels and free-standing panels with a swinging gate," he said. He also makes feed bunks. "What I create mimics 'dad' and the tools I use to work cattle every day. My boys see what dad has and they want it at home in their toy room to play with. I want to keep adding onto the toy working facility that mimics our farm. Eventually, it will probably consume the entire basement. When other dads see what I have made, I think they get a little more interested because they can say 'Hey, it's kind of like what I have on the farm.'" Eventually, Foster would like to make custom-designed toys. "If a dad wants to get his kids a working facility that mimics the working facility on his own operation, it is something I really want to put together for them," he said. Foster is currently working on a tub design and alley. He hopes to have the prototype finished, and ready to market within the next two weeks. "I have a lot of ideas; it's just making the time to create them," he said. "Paying the bills has to come first. I can only design one at a time, and I want to make sure I am bringing a safe, quality toy to the market." 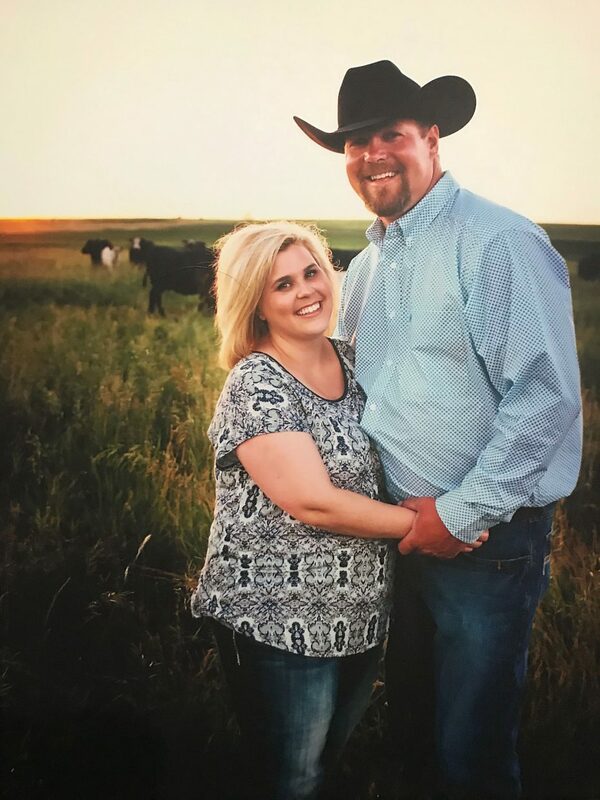 Foster's primary job is running the cattle portion of a family farming and ranching operation with his father, uncle and aunt in northeastern South Dakota. 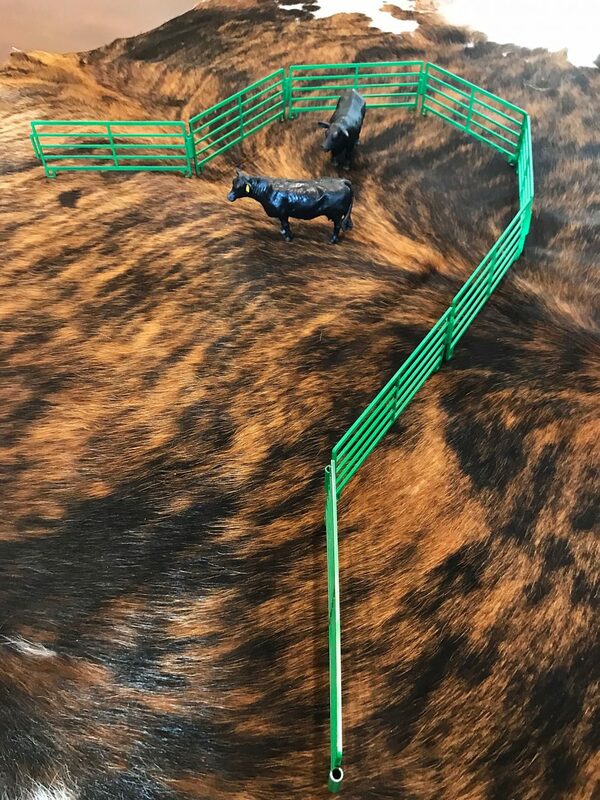 "I work mostly with the cattle, managing the herd, the calving and the feedlot," he said. "That is where my passion is. 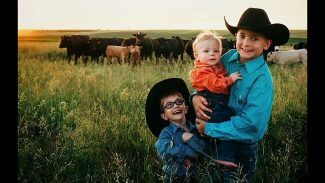 I always tell people I was born to a farmer in eastern South Dakota, but I should have been born to a rancher in eastern Montana. I like the wide openness of the west. I wouldn't trade this way of life for anything." 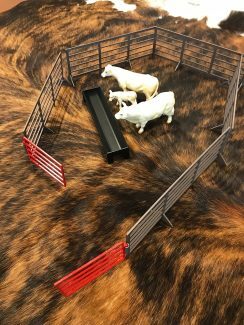 Foster's dream is sharing his passion for livestock through the toys he creates. "The toys I make — the sky's the limit. There is nothing that really can't be done. Something I want people to remember when buying my toys is that these toys are made by the American rancher for the American rancher's kids. These toys are not just for their kids, but for the generations yet to come."